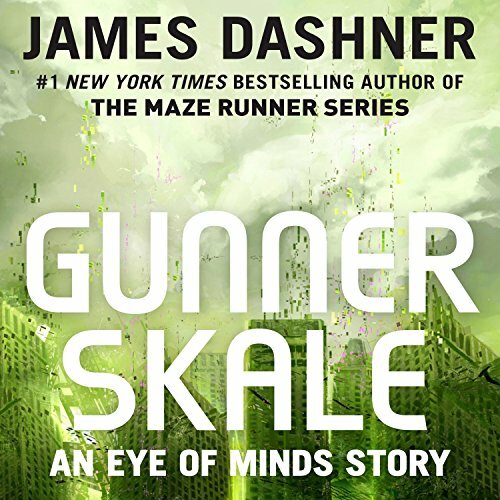 From James Dashner, the number-one New York Times best-selling author of the Maze Runner series, which includes The Maze Runner - now a number-one movie worldwide - and The Scorch Trials - soon to be a major motion picture from Twentieth Century Fox that hits theaters on September 18, 2015 - comes an original audiobook returning fans to the fast-paced, high-tech world from The Eye of Minds and The Rule of Thoughts, the first two books in the Mortality Doctrine series. Find out how Gunner Skale, the best gamer on the VirtNet, becomes a legend in this story available exclusively online. I enjoyed the Maze Runner series by James Dashner. I was looking for other books by this author, but I was uncertain about the Eye of Minds series. I bought this precursor (book 1.5) as a daily deal. It has definitely captured my interest. I did not want this short book to end. Now I am very eager to hear the Eye of Minds series! Not a bad prequel/short story, but after finishing the series I'd say this doesn't make much sense. This definitely is not worth spending a whole credit on, the price tag is cheap so it may be worth a quick read after the first book in the series as a prequel, but I wouldn't say it contributes much to the series. My students have read this series, cause I made them in class. They loved and kept thinking that Gunner Skale was actual Kane. They will be glad to know the true story !! This is an origin story of Gunner skale. Entertaining yet not enough details to keep me interested.